Our rental Range Rover Sport SVR black model is now available to hire from Signature Car Hire in London. 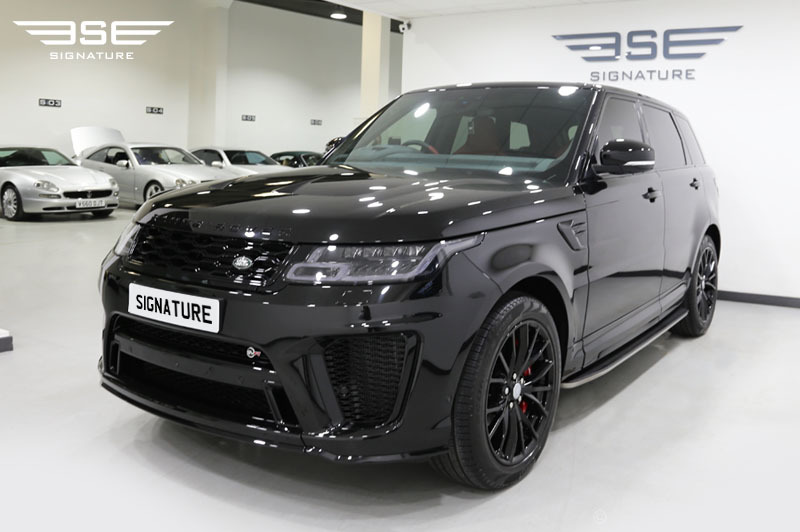 Created by land Rover’s Special Vehicle Operations Division, this Range Rover Sport SVR hire car is equipped with supercharged V8 engine that will get your pulses racing! So impressive is this Land Rover Range Rover Sport SVR, that it was awarded the full five-star rating by an Autocar road test, so you can rest assured this rental 4x4 from Signature will tick all the boxes! 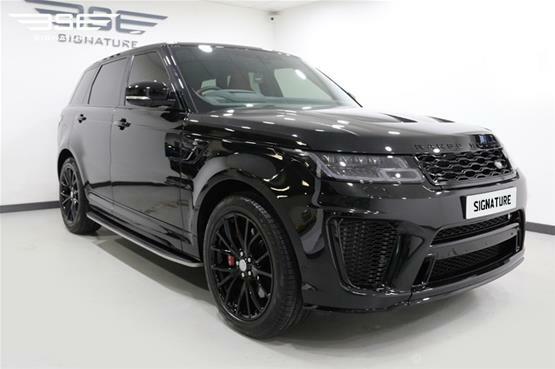 This is a Range Rover Sport SVR 2018 model, so you can expect to enjoy a refreshed look and feel with this sporty rental SUV. 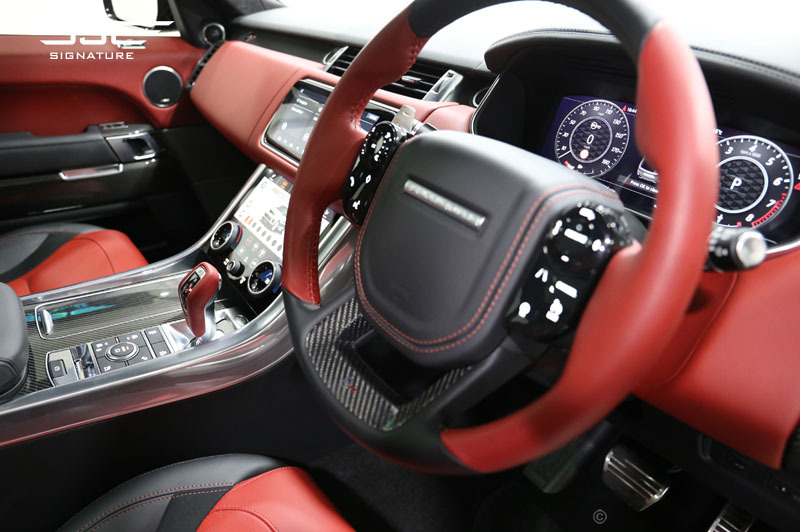 The most notable change is that the 5.0-litre supercharged V8 now produces 567bhp at 6000rpm, and 516lb ft from 3500rpm. 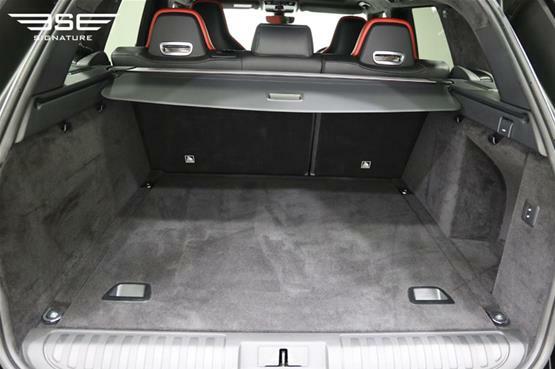 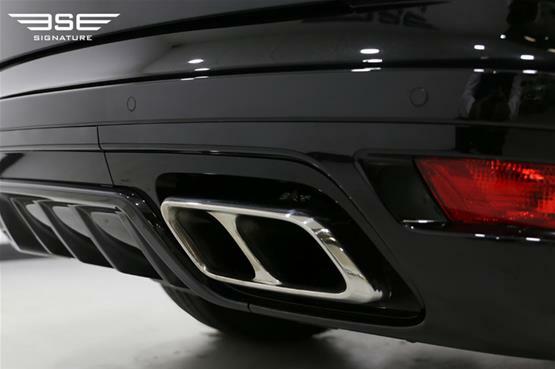 The chassis has been enhanced, too, with Land Rover engineers adjusting the Land Rover Range Rover Sport SRV’s active dampers to improve turn-in and grip offering better body roll. 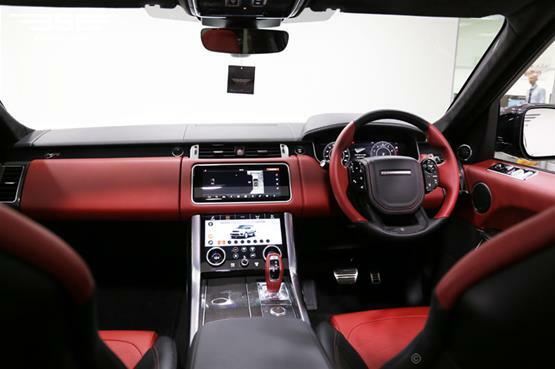 The cabin has also had a make-over and benefits from the latest dual-screen infotainment system which first introduced on the smaller Range Rover Velar. You can expect our Range Rover Sport 5.0 v8 SVR to be comfortable and refined on your self-drive hire UK rental experience. 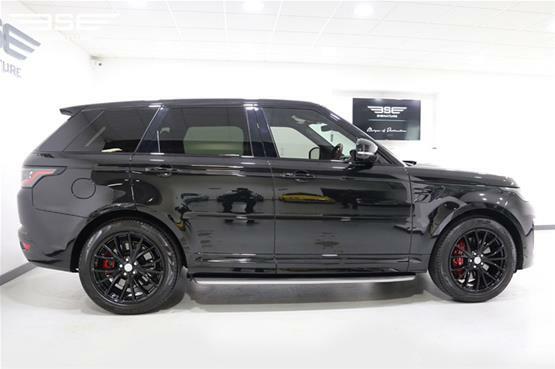 It comes with impressive appeal thanks to its 22” alloy wheels, carbon fibre bodywork and performance stats. With even better than usual suspension, you can expect a smooth drive and as you sit high in the firm supportive, sports seats allowing you to revel in a commanding view of the road and experience bags of interior space. 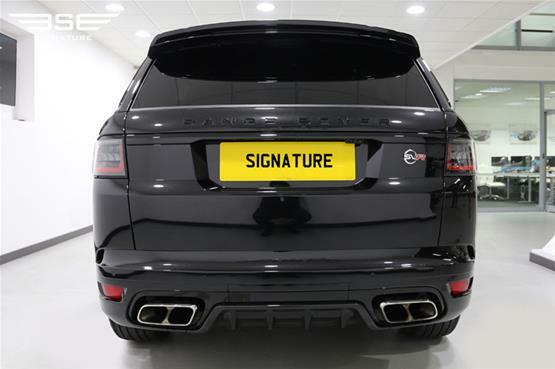 This Range Rover SVR hire car is plush and luxurious throughout. The driving experience is calm and relaxing, but with plenty of power in the throttle pedal when required. 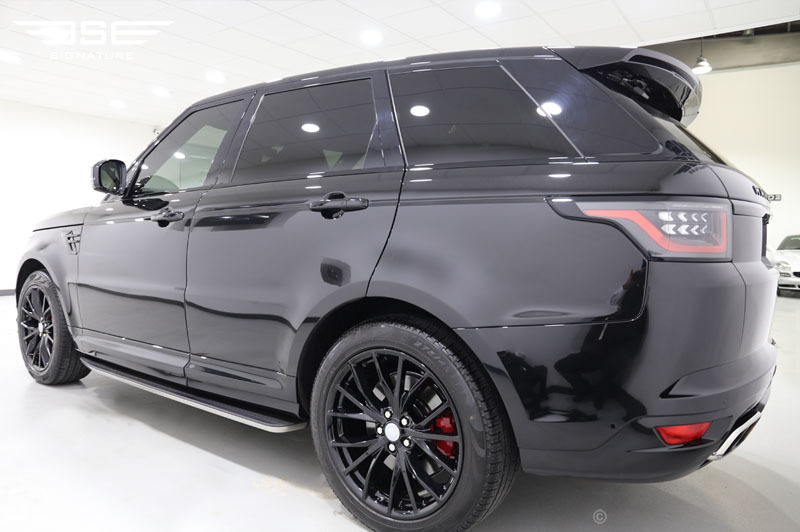 Acceleration is impressive, achieving 60mph in 4.3 seconds, and even for such a big brute, this rental Range Rover Sport SVR London cruiser is just as happy on a challenging country road. 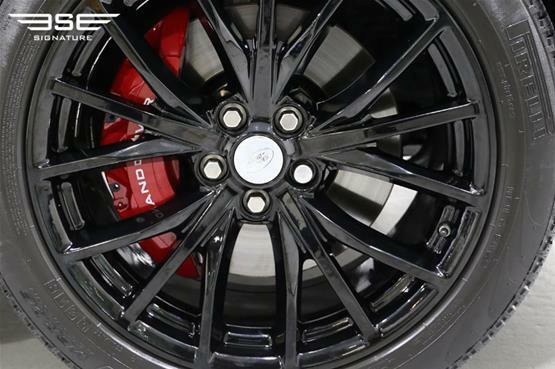 It stops, corners and grips steadfastly. 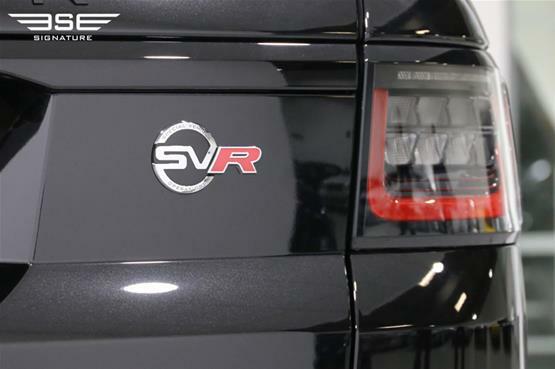 The SVR features Land Rover’s Terrain Response 2 system and four-wheel drive, which means it can still go where the vast majority of performance rental SUVs can’t. 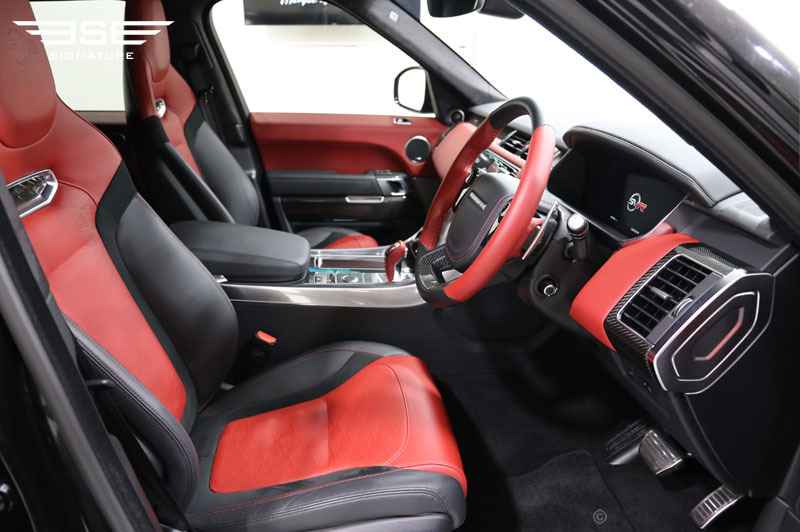 The Range Rover Sport SVR Interior is beautiful and now uses the same design setup first seen on the Velar featuring a twin Touch Pro Duo infotainment system. The upper screen controls navigation, entertainment and phone connectivity while a lower screen is reserved for climate control, seating settings and the drive mode select. 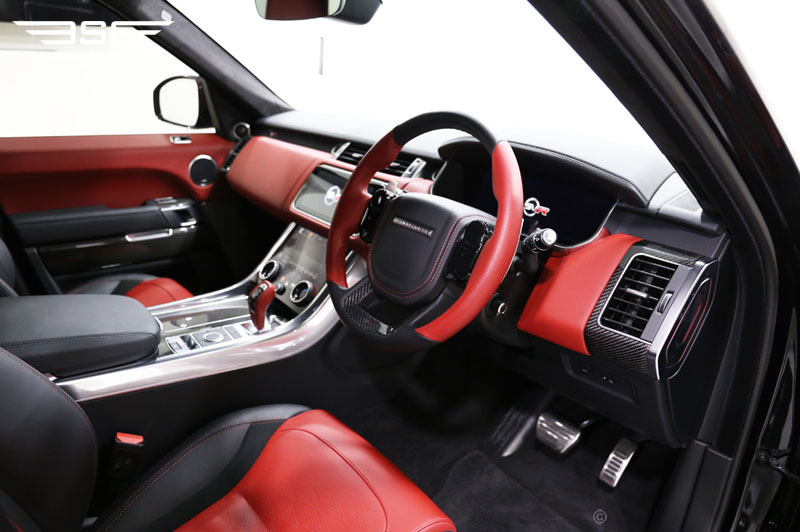 You can expect our rental Range Rover SVR to have an interior that is beautifully clean with a mix of ultra-modern touches and some very clever little details. 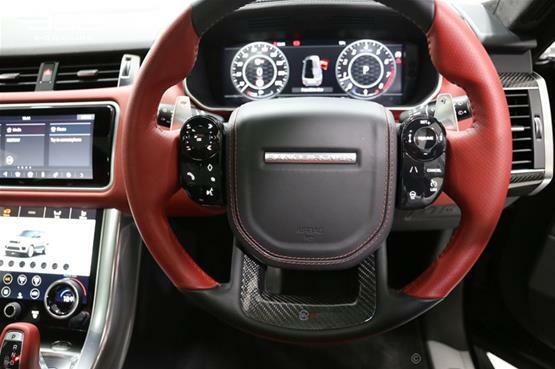 Material quality is as impressive as you would expect from Land Rover in the cockpit. The illuminated steering wheel buttons include navigation switches for the digital instrument cluster and different switches light up depending what you’re currently doing with it. 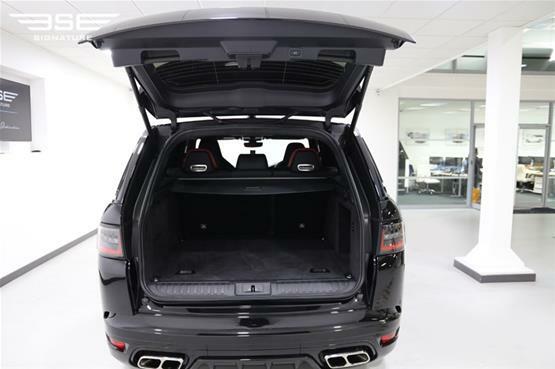 There is plenty of legroom in the rear and a generous sized boot makes this an ideal 4x4 for long journeys or large families. 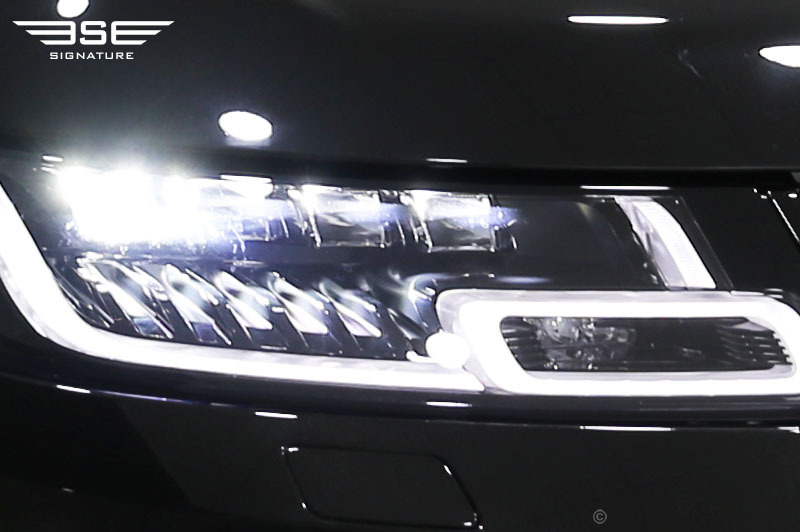 On this model you will notice slimmer ‘Pixel’ LED headlights with a new daytime running light graphic and a new grille. 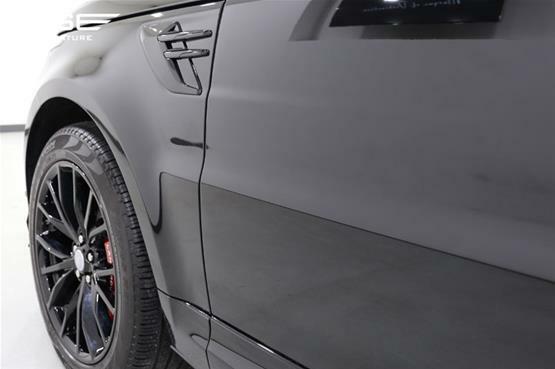 There’s also a new front bumper with larger air vents to improve brake cooling and a new rear bumper with differently styled exhaust tips for the four tailpipes. 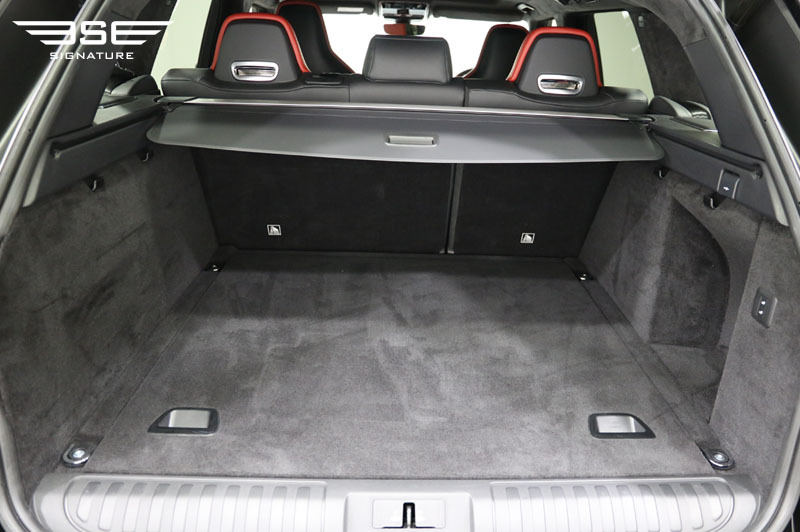 The bonnet is carbon fibre, with large air slots. This Sport SVR has a power output of 567bhp and 700Nm of torque. 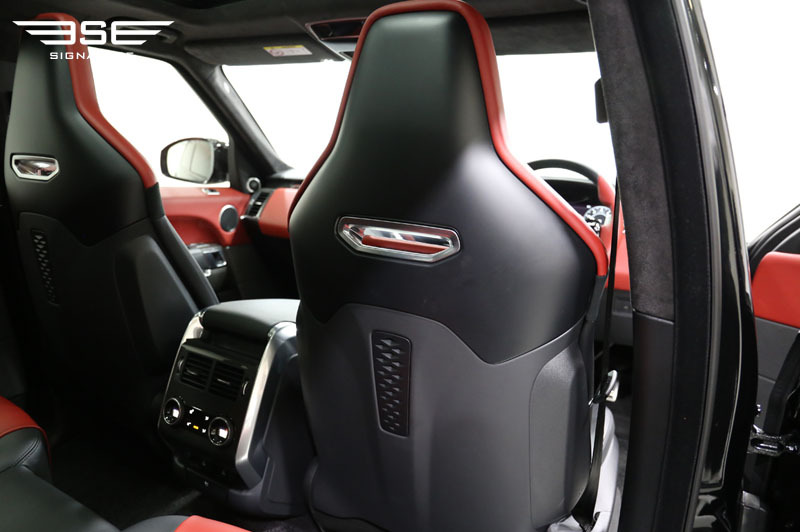 That’s 33bhp and 80Nm more than the old Range Rover Sport SVR; it’s 0.4 seconds faster from 0-60mph, while top speed has bumped from 162mph to 176mph. Our Range Rover Sport SVR specs are impressive, but how does it handle? 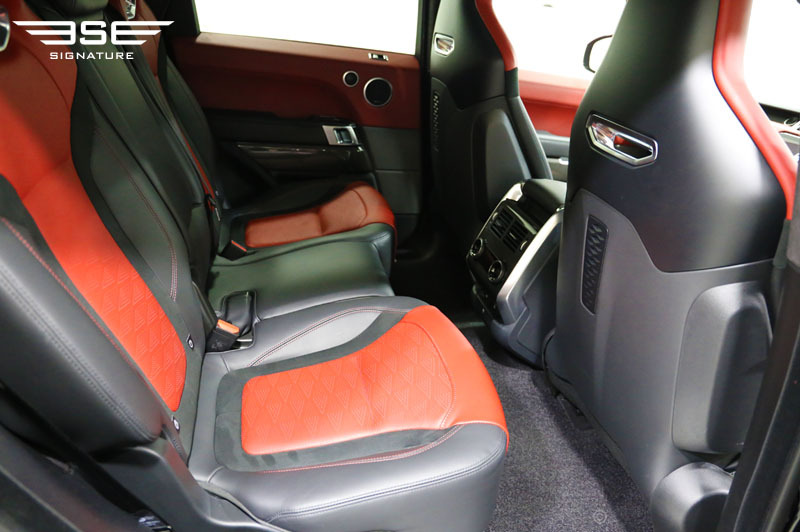 It is an off-roader at its core, but this model is designed to maximise comfort too. Select Comfort for regular road use, Dynamic for the full-bore sport setup or Eco mode. 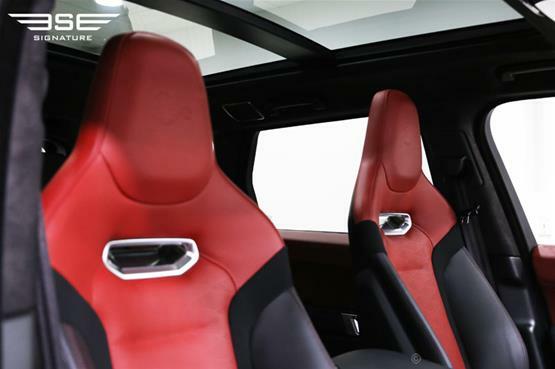 There is also a version of Land Rover’s Terrain Response system that features wet, rocky, sandy and muddy settings for when the going gets tough. 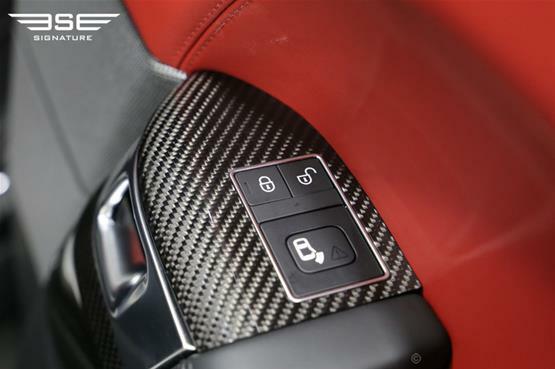 There’s also a trailer stability assist system, hill descent control and low-traction launch control, too.